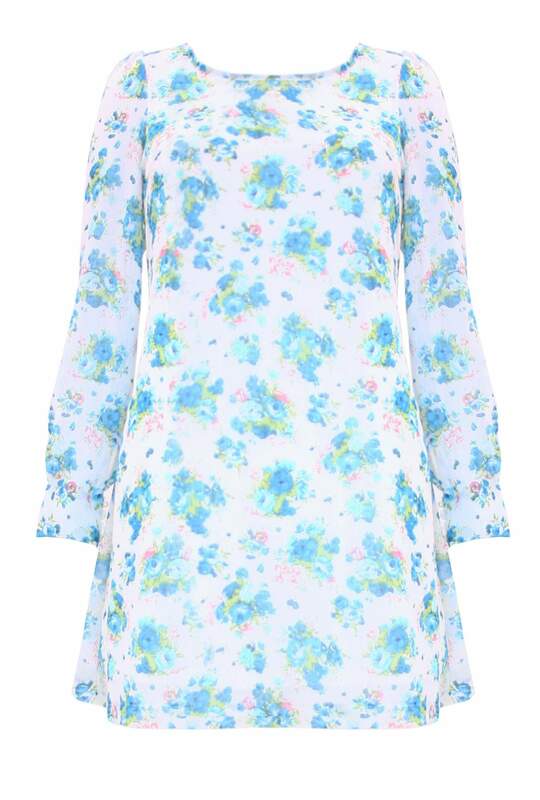 Perfect for summer days this floral chiffon tunic dress features a round neckline and long sleeves. 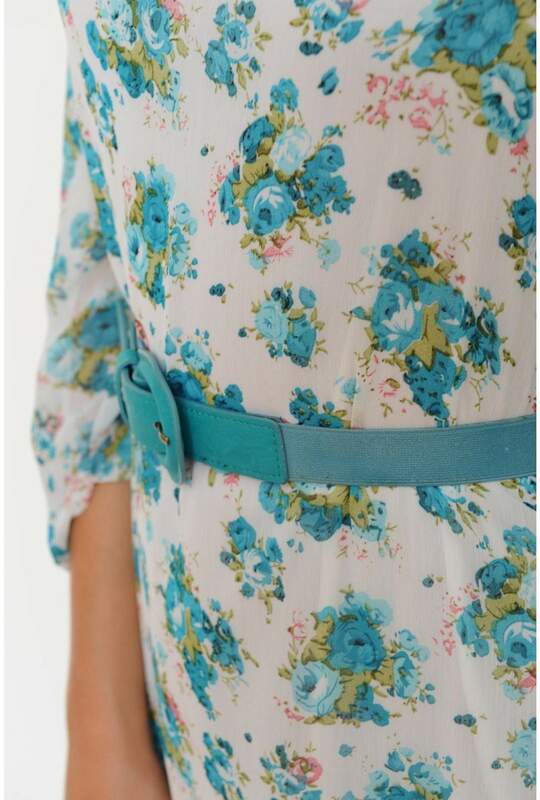 Team this daytime dress with a skinny belt and some strappy sandals for the perfect summer look. Gentle Hand Wash, Do not bleach, Low Iron, Do Not Tumble Dry, Do Not Dry Clean.